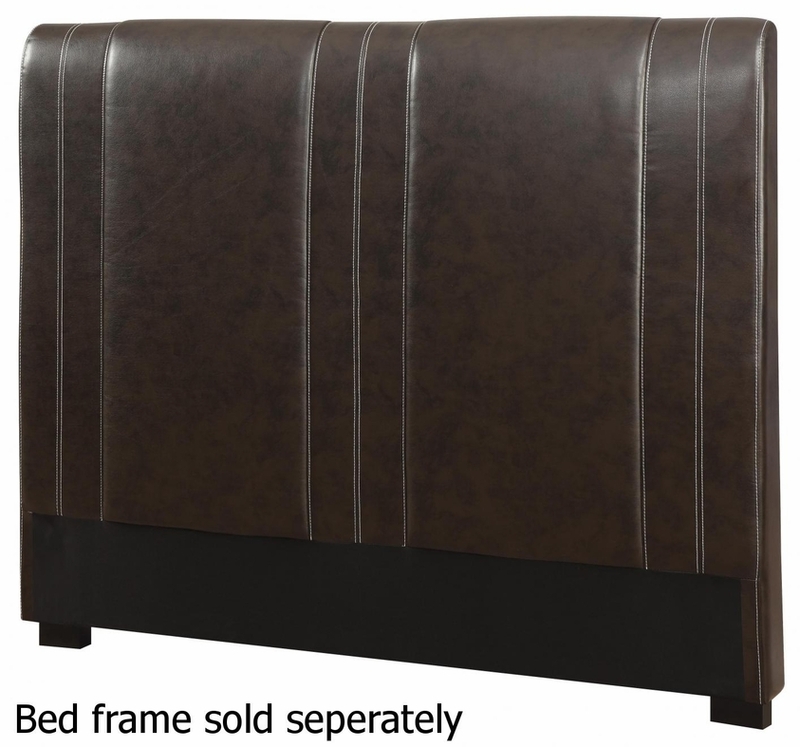 This tall headboard with dark brown leatherette will bring an updated look to your bedroom, a kid's bedroom, or a guest bedroom while embracing comfort with its cushy design. Accent stitching makes it a bold centerpiece in any space. Bed frame required (sold separately).